STANLEY® FATMAX® introduces its new Multi Functional Utility Bar designed with heat treated high carbon steel for extra strength and durability. 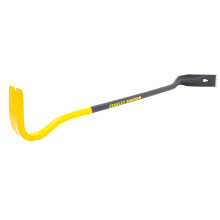 The FATMAX® 30” Multi Functional Utility Bar is a great tool and can be used in a variety of demolition situations. 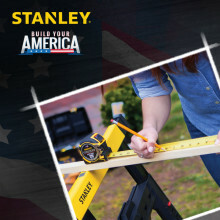 With every product, STANLEY® continues to design tools that last a lifetime and help get the job done right- STANLEY® screwdrivers are no different. 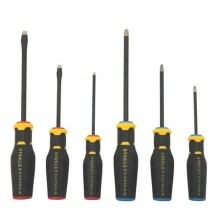 STANLEY® offers ratcheting, multi-bit, and standard screwdrivers that make completing the task at hand fast and easy. STANLEY® introduces its new line of FatMax® Simulated Diamond Tip Screwdrivers offering longer tip life over standard screwdrivers used by professionals. To help reduce slippage and harden screwdriver tips STANLEY® is offering new screwdrivers with a specialized simulated diamond tip coating for longer tip life. Stanley® launched the Click ‘N’ Connect™ storage solution line – models STST19900, STST19950 and STST14440. The line is comprised of a stackable tool box and an organizer unit with removable dividers for customized storage, the Click ‘N’ Connect™ is an ideal solution for homeowners and DIYers looking to keep their tools in one place. 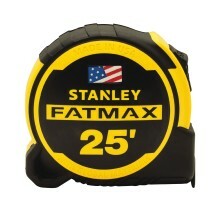 The new Stanley® FatMax® 16’, 25’, and 30’ tape rules are professional quality tape rules with an auto-locking mechanism and interchangeable large hook attachment. With the new detachable hook system connect the over-sized hook attachment for framing applications or remove it for standard applications. The new lightweight and compact TLM65 Laser Distance Measurer is small enough to fit in a pocket and measures distances of up to 65 feet, as well as makes automatic calculations of square footage and cubic footage. The TLM65 Laser Distance Measurer will be available in May 2014 at mass retailers, home centers, and independent retailers for approximately $59.99. 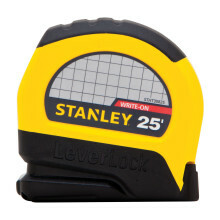 Stanley® introduced the redesigned LeverLock® tape rule product line. 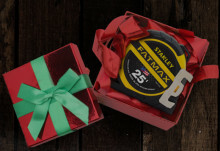 The tape rules have innovative features such as a write on label, a non-marring base, and a non-glare blade. Available in September 2013 in home centers, mass retailers, and hardware stores, LeverLock® tapes will retail for approximately between $5.99 and $11.99.